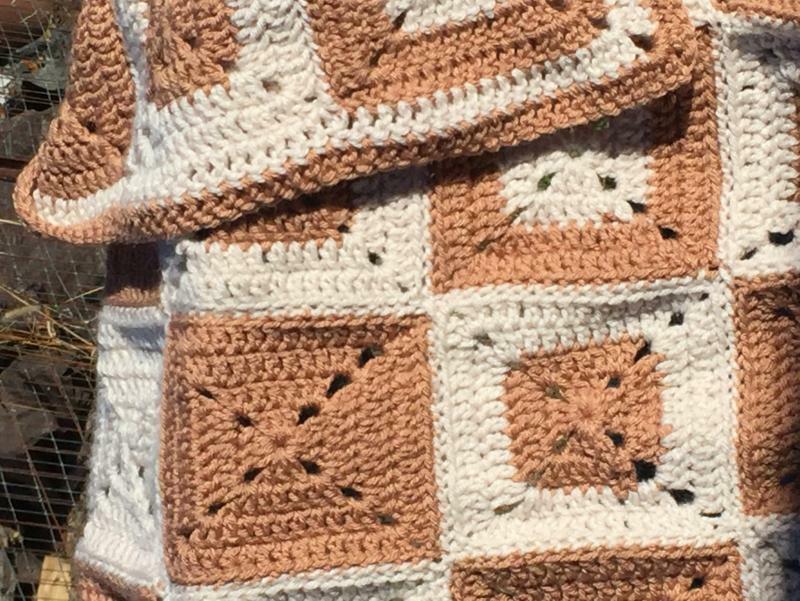 What Afghan are you Working on Right Now? I was planning on chocolate and white for the next one. I also still have enough blue and almost enough white for another one just like that one. Those are a labor of love. Great job. How much time a day do you crochet? I started another project. lol I have four items I need to have ready by Christmas so started one of those. LOL well ok big afghans are put away. Guess the stuff for Christmas may not get done this year. Think I may work on something small. Got a hat I have been wanting to make for me. Five projects. Two afghans that I am making motifs for to put together this winter. I afghan I can't work on till winter. 1 African flower dragon I am making motifs for to put together this winter. (hate how tight this one has to be may not finish it. Makes my hands hurt.0 1 serape I am working on for myself. I can't seem to get anything finished. I only crochet a few times a week for a couple hours. Do I need to find a new hobby? One that does not take so long? I am so discouraged. finally my afghan is finshed! Wonderful job. I can't ever sew them together right. I am impressed. I would of run screaming from a project like that. Maybe I should think about and OTT lamp for myself. Should help with my cross stitch I have not worked on in months. I like the owl ones I have seen on Ravelry. Yours are very nice.